Jenny Deal is a volunteer for the division’s Beach Bags program. Each week, she donates her time to sort and pack up to 800 bagged meals and healthy snacks that are provided to disadvantaged VBCPS students. It was Deal’s son, Zach, who introduced her to the program during a Beach Bags food drive. 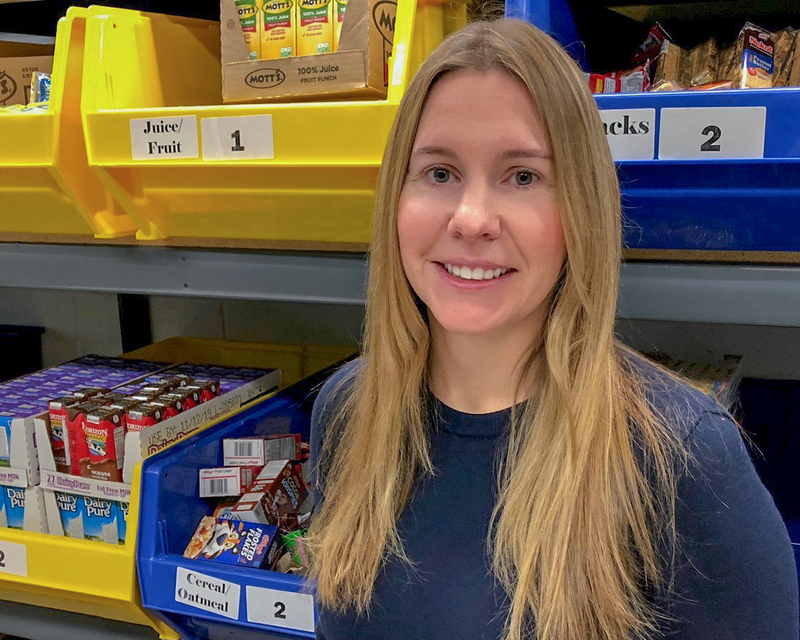 Once she learned how this program benefits children who may not have enough to eat over weekends and school vacations, Deal said she wanted to help. For Deal, the need for this program is particularly close to home. “I personally know the impact hunger has on learning. Students receive a bag for various reasons. For my own reasons, as a child I would have benefited from the Beach Bags program,” she added. Deal has been volunteering regularly with the Beach Bags program every week for the past three years and does not plan to stop any time soon. Become a volunteer or community partner today and make a difference in student’s lives. For more information on volunteering visit vbschools.com.